In which should come as a great news for close to 900 million mobile subscribers in India, The Telecom Regulatory Authority of India has reduced the ceiling tariffs for national roaming service and has also mandated telecom operators to come out with special roaming tariff plan for pre-paid as well as post-paid subscribers in India. 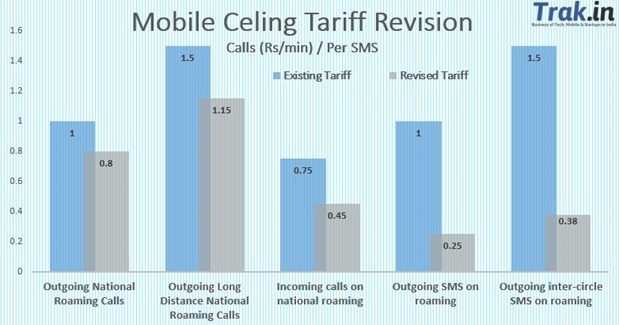 Apart from this, TRAI has reduced the ceiling tariff for SMSes to nearly one-fourth of existing prices. According to the new ceiling rates, all out going calls when outside of home network (roaming) will be capped at 80 paise per minute, which was earlier at Re 1. Outgoing long distance voice calls while outside of home network (roaming) is capped at Rs. 1.15 per minute compared to previous Rs. 1.50. The cap for Incoming voice calls while roaming have been brought down from 75 paise per minute to 45 paise per minute. The cap for SMS rates have been reduced by as much as 75 percent – Outgoing SMSes while on national roaming will now cost at maximum 25 paise per SMS compared to Re.1, while outgoing long distance (inter-circle) SMSes while on roaming will cost at max 38 paise as compared to Rs. 1.50 earlier. While few operators charged tariffs below the ceiling rate, for those who charged at ceiling rate will need to reduce their rates to match this TRAI ceiling tariffs. 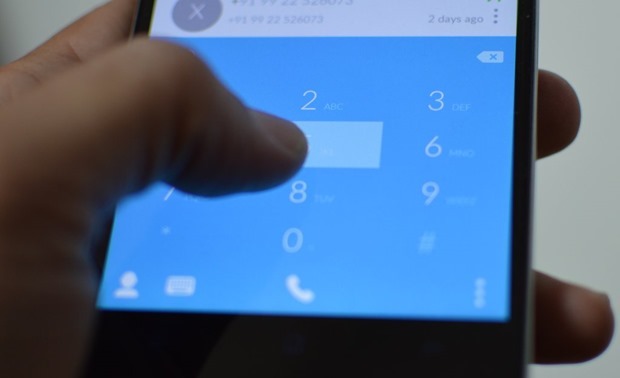 Earlier in March, TRAI had announced that they are proposing to slash roaming voice calls and SMS ceiling tariff by as much as 30% and 80% respectively. The rates announced currently are very close to that. Apart from this, TRAI has mandated all telecom operators to come out with a special roaming tariff plan, wherein incoming voice calls while on national roaming shall be free, on payment of fixed charge, if any. Tariffs for national roaming services were last revised in 2013 through the Telecommunications Tariff Order (55th Amendment), 2013 dated 17.06.2013. While formulating the revised tariff regime for national roaming, TRAI had indicated that the new tariff regime shall be subject to review after a year.